Strawberry Blonde's Market Summary: Will AAPL Stabilize Around 400-420ish? 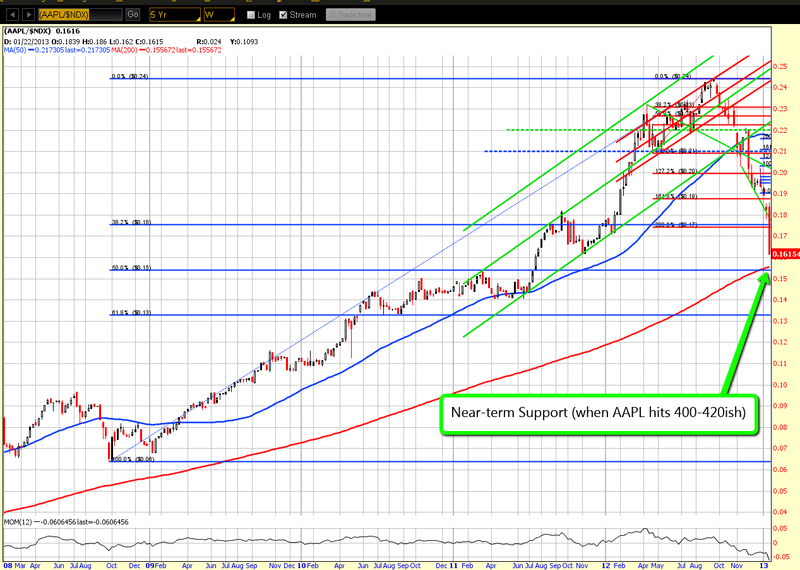 We didn't see the bounce in AAPL that I was wondering about in my post on January 5th. Momentum continued to the downside and price has pushed down to around 440 as I write this article around mid-day on Friday. 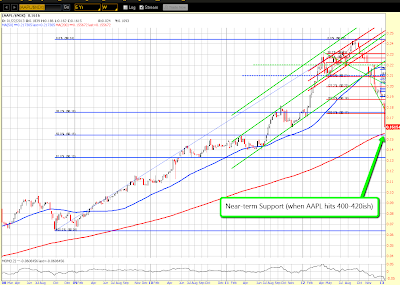 AAPL is still underperforming the NDX, as shown on the Weekly ratio chart below. 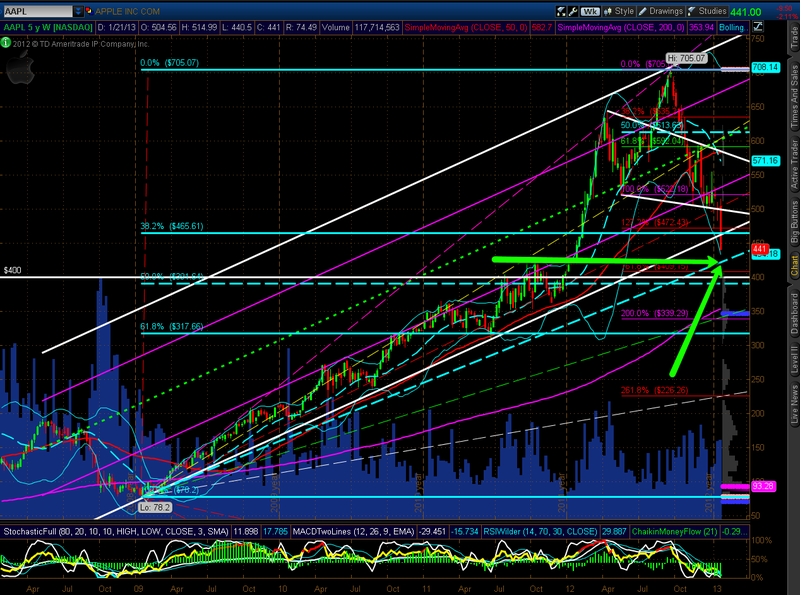 Price is approaching a 50% Fibonacci fanline at around the 420ish level, as shown on the Weekly AAPL chart below. 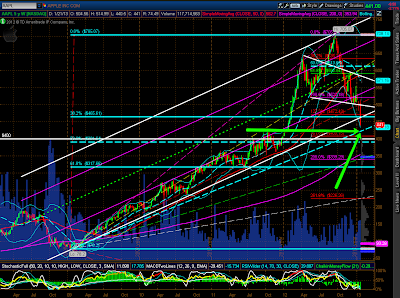 Major support lies somewhere around the 420-400ish level. It will be interesting to see if price begins to level out there, especially as it has now broken below its large uptrending channel from the 2009 lows. Apple Inc. has also lost its place as the most valuable company in the world to Exxon Mobil.